We build lasting relationships with our customers. Call for truly personalised service from London’s friendliest plumbers! Still deciding if we’re right for you? See what the rest of London is saying about our services. These guys are the kind of plumbers you find once in a decade. Greater home comfort is just a phone call away. 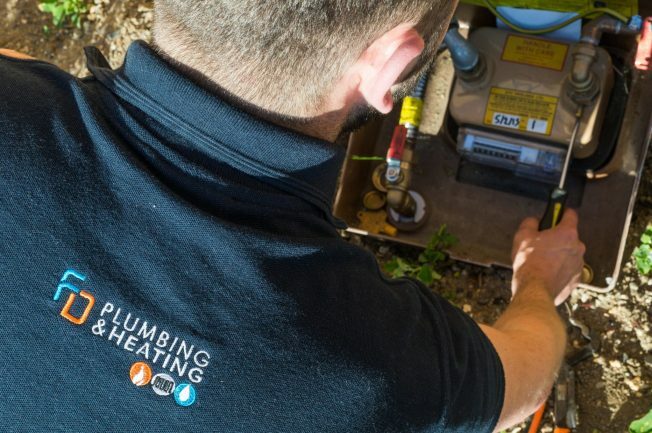 Take advantage of our plumbing and central heating solutions in London and give us a call on 020 7060 4770 for a free quote on selected services. Looking for a London plumber or central heating specialist? FD Plumbing & Heating is your local expert plumber dedicated to providing the results you deserve at competitive prices. Our team of experienced plumbers will make sure your problem is completely solved before we consider the project complete. Read on to learn how we can set your home right and see why your neighbours have preferred our solutions since 2002. At FD Plumbing & Heating we approach each job as a consultative process. This means you receive personalised service as we discuss your problem, offer a range of options, and let you choose the best one that fits your immediate needs and budget. We will not push you to opt for a service or product you do not need. Our team will work with you to arrive at the most cost efficient solution. When you work with us, you never have to worry about surprises at the end. You will know what to expect from start to finish, including our repair or replacement process as well as the price. All work is guaranteed up to one year. Call us on 020 7060 4770 to learn more. Our Gas Safe Registered London plumbers are experienced and fully qualified to handle all of your home comfort needs. Whether you need to install a boiler, replace a tap, or repair your water heater, we have a team of expert plumbers ready to help you achieve complete home comfort. Our no-hassle services come with solid guarantees that ensure your long-term peace of mind. How Fast Do We Arrive? We are a truly local plumbing and heating company serving Greater London and its boroughs. This means no matter where you are, you can be confident that our plumbers will be dispatched to your home as quickly as possible. We treat every job with the same level of urgency and work around your schedule. Many repairs can be completed within an hour, and we can provide you with a time estimate after initial diagnostics. For larger projects that involve more time, you will receive an accurate estimate up front. Your goal and our goal are the same: to help you get the right solutions with minimal disruption. No job is too simple or too challenging for us to handle. We are ready to help you get your home’s plumbing or heating system working smoothly so you can enjoy the comfort of your own home without any unexpected problems. Work with London’s preferred plumbers at FD Plumbing & Heating for a consultative approach to your home comfort problems. We carefully work with each of our customers to carry out the best solution for their particular situation. Call us today on 020 7060 4770 to discuss your needs and schedule an immediate appointment with one of our plumbers in London.